Doctor’s, dieticians and other experts agree that the best way to lose weight is to eat fewer calories and be more active. For most people, a reasonable goal is to lose about a pound a week, which means, cutting about 500 calories a day from your diet, eating a variety of nutritious foods and exercising regularly! Let Bio Slim Bee assist you in your weight-loss journey! Bio Slim Bee weight loss pill, our company’s highly recommended, is produced throught modern technology with pure, natural plants. 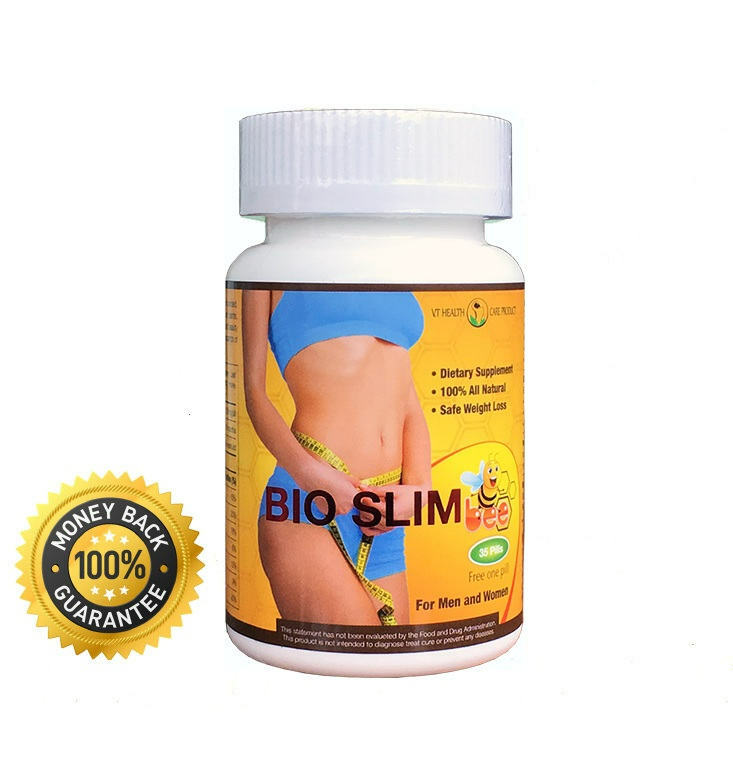 Bio Slim Bee weight loss pills possess a magic slimming and beauty function that has been known by the people there for thousands of years. Both Men and Women have found success with it. Cassia Seed Extract, Coicis Extract, Mulberry Leaf Extract, Lotus Leaf Extract, Mustard Extract, Honey powder bee, Medical Amylum. Suited Community: 16-65 years old. Take 1 pill everyday in the morning. Taking it with empty stomach in the morning. Drink water as much as you can, so you will lose at least 15-18 lbs for the first month use. * Do not consume alcohol. Do exercise or cardio. * People with psychosis or drug addiction, medicine or alcohol. * People with hyperthyroidism, insuffciency of liver or kidney. * Women who are pregnant or breast-feeding. Not applicable for Woman in pregnancy and Patients of cordis-vasal disease and apoplexy. Storage: Store in cool (room temperture), dry and dark condition.